Black Boy is a firsthand account of what it was like to come-of-age in the South during the Jim Crow era. Richard Wright's story is an emotional journey through violence, abandonment, neglect, and hunger, as well as blatant racial discrimination. 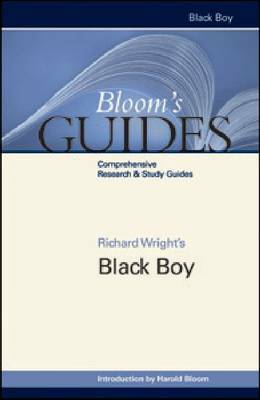 This new addition to the ""Bloom's Guides"" series delves into ""Black Boy"" with critical excerpts examining this novelistic autobiography, an annotated bibliography of Wright's works, an index for easy reference, and an introductory essay from literature professor Harold Bloom.